I had the good fortune to attend the Kapalua Wine and Food Festival not too long ago, and while I was in town, decided to treat myself to a few extra days of blue skies, ocean breeze, and of course, good eats. The food we discovered on Maui was an interesting mix of hearty no-frills home-cooking, and high-end fine dining. This bustling local hot spot is hardly a well-kept secret. Locals and tourists alike head to Da Kitchen for heaping portions of solid home-cooking, Hawaiian style. Conveniently located near the Kahului airport (OGG), it is an awesome way to kick off (and cap off) your Maui eatfest -- yes, it was so good, it was not only my first meal on the island, I made sure it was my last as well. 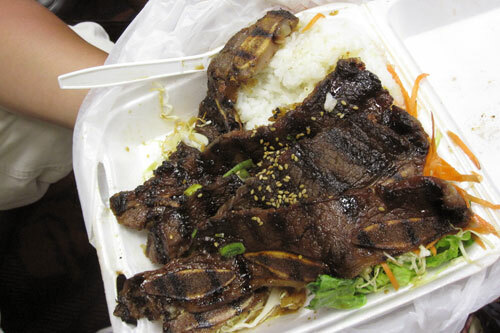 I boarded the plane back to SFO with an order of the Kalbi Ribs to go, and boy, were the folks in the next row jealous. They kept making eyes at my dinner: five big slabs of tender charbroiled short ribs, marinated in a house teriyaki sauce. Da Kitchen is notorious for their "big boy"-sized servings. The plate lunches are their specialty, all served with two scoops of steamed rice and a side of potato mac salad or green salad. If delicious, savory short ribs aren’t your style, try Da "Lau Lau" Plate (two steamed pieces of cured fatty pork wrapped in taro leaves with a side of lomi salmon), Loco Moco (homemade burger patty topped with two eggs, onions, mushrooms and gravy), or Chicken Katsu (chicken breaded in panko batter, served with a Japanese BBQ sauce). You can't go to Hawaii without getting a taste of Shave Ice. Ululani's Hawaiian Shave Ice puts snow cones to shame. 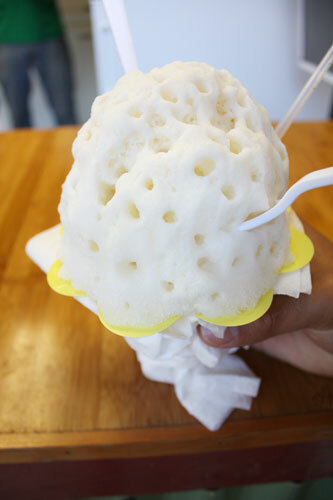 Shoot, it even puts most other shave ice places to shame. You may be asking yourself, what's the big deal? It's just ice and syrup, right? Wrong. It is powdery soft, creamy, icy magic, flavored with joy. There's a reason this spot boasts a perfect 5 star score with 130 reviews and counting on Yelp. The stuff is amazing. The ice is shaved so fine that it actually produces a creamy texture. 95% of Ululani's flavors are made with premium purees, concentrates and/or extracts. These homemade syrups are what set Ululani's shave ice apart from all the rest. I tried their most popular flavor combo, the Haleakala, and fell in love. ½ coconut and ½ leche (a milky flavor with soft hints of cinnamon and nutmeg), topped with their signature "snow cap" (a sweet condensed milk and cream mixture). To. Die. For. Read more about David and Ululani Yamashiro's sweet story. 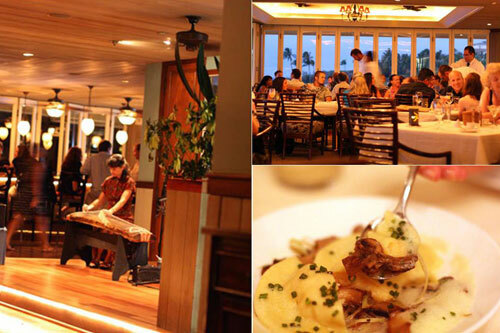 Lahaina Grill was our favorite splurge meal of the trip. 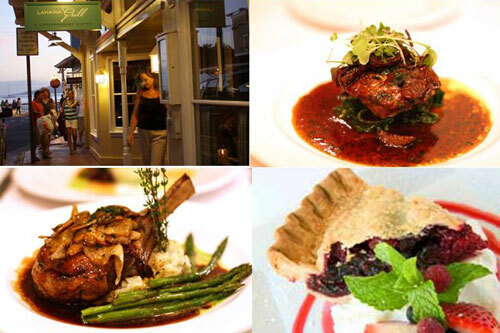 The setting was comfortable and unassuming, the service was on point and friendly, and the food was phenomenal. Our picks: The Seared Ahi and Hudson Valley Foie Gras appetizer blew us away. It was the best dish of our entire vacation. Who would've thought that this combo could work so well? The richness of the foie melded seamlessly with the luxurious ahi tuna, resulting in the most heavenly bite. The dish was served with a Dalmatia fig compote, sautéed Kula spinach, and finished in a sweet Maui onion duck demi-glace. Perfection. Also of note was the signature Triple Berry Pie. A tall stack of luscious raspberries, blueberries, and black currants, nestled in a light flaky crust sparkling with turbinado sugar. No room for dessert? A word to the wise, take this home and have it for breakfast! I can't wait to try the recipe. One of the famous sights on Maui is the majestic Haleakala volcano summit. Sunrise at Haleakala is surreal. If you're staying in West Maui like we were, you need to hit the road by 3 am in order to make the trek up 10,000 feet up above sea level where it is actually cold. After watching the sun come up, sitting on top of the clouds, being on top of the world, you feel pretty darn good. And then, when you realize that T. Komoda Store & Bakery is conveniently located in Makawao, at the base of the mountain, you are truly convinced that all is good in the world. This place is a total gem. Walking in is like entering a time capsule. People rave about the Cream Puffs. The pastry shell is light and fluffy, and the cream filling is more like a vanilla custard rather than whipped cream or pastry cream. 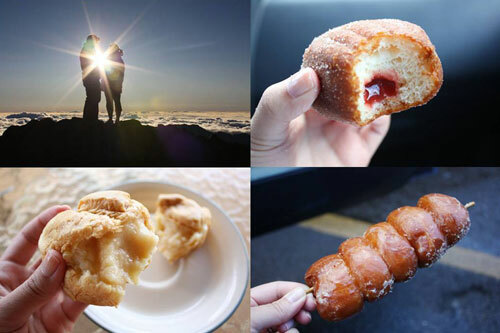 My favorite though, was the guava jam-filled Malasada Donut, sparkling with sugar. And the Stick Donut. Yeah, you heard me. Located across the street from Komoda Bakery, is this hidden gem. 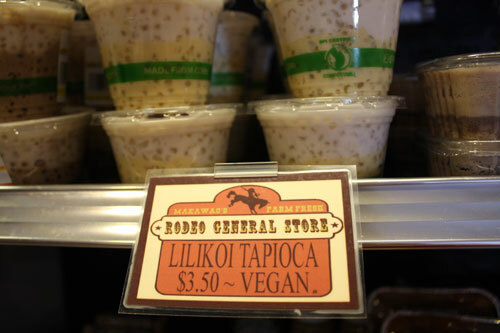 The Rodeo General Store is stocked full of house-made goodies, both savory: Smoked Marlin Dip (so so good), Kalamata Olive Hummus, Carrot Cashew Pate; and sweet: Lilikoi Tapioca, Raw Chia Vanilla "Custed", Gogi Brown Rice Pudding, Maclava (macadamia nuts + baklava = swoon). The flavor combos are creative, fresh, and slant on the hippie-healthy side. Grab some pita chips and some of their awesome dips, and you've got yourself a beach picnic. Speaking of beaches, nothing beats the view at Merriman's, and they know it. This classy waterfront establishment is beautifully designed to bring the outside in. Essentially, it is a restaurant without walls, with floor to ceiling windows on all sides. On pleasant evenings, enjoy a postcard perfect sunset outside on the patio, with one of the best pina coladas on the island. 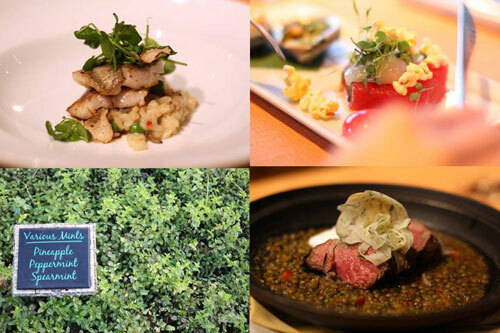 Chef Peter Merriman has been at the forefront of Hawaii's local sustainability movement for over 20 years now, and his menu features an impressive array of Hawaii regional cuisine sourced from local farmers, producers, and ranchers. Our favorite dish was the Pan Roasted Diver Sea Scallops with applewood-smoked bacon, creamed Kula corn, Anuhea asparagus, and tarragon. Actually the Creamed Kula Corn by itself was the show-stopper of the evening. Did you know that Maui produces some of the sweetest corn on Earth? This is actually a neat fact…there are a number of widely varying microclimates on the island, ranging from the hot and sunny coasts, to humid jungle, to the cool, dry climates of what is called "upcountry." This range of climates allows for a wide range of produce to be farmed. The region called Kula, full of soil blessed with nutrient-rich volcanic ash, is prime land for growing corn. Hence, acres upon acres of corn fields, far as the eye can see, stretching along the highway -- completely unexpected and disorienting. Merriman's sources a lot of Kula corn. Mmmm…the stuff is so good, you want to bathe in it. From the interesting conversations I had with local chefs and food fiends, it seems as if Hawaii has just started to ride the wave of the local/sustainable movement that we know so well here in San Francisco. Because it’s just starting to gain popularity, it still has a shiny, new, feel to it all. It was great to see people so jazzed about hydroponics, and excited about planting home gardens -- even "resort" gardens, like the ones Chef Ryan Urig, of The Banyan Tree, built right on the grounds of The Ritz-Carlton, Kapalua. The Banyan Tree is located inside the resort grounds, and just a stone-throw away from its front steps, next to the stunning hotel pool, is a legitimate herb garden, flourishing with things like grapefruit mint and Thai basil, free for guests to walk through and admire (and pluck a garnish for their cocktail if they so wished). Further behind the scenes is an impressive hydroponic farming system in the works, as well as a large composting operation. Cool stuff. The chefs not only farm, they cook pretty darn well too. Favorite tastes included an appetizer duo of Abalone, served with crispy Brussels sprouts, lamb bacon and dates, and Watermelon Salad, with fresh horseradish and a jelly-like orb filled with watermelon juice that bursts in your mouth when you eat it. Also loved the Crispy Moi (a traditional Hawaiian fish that used to be served to royalty) with English Pea Risotto, and the Grilled Lamb Loin with Lentil Dahl and Raita was perfectly cooked and seasoned well. A Maui Top Eats list wouldn't be complete without mention of this classic Hawaiian snack. Spam Masubi is fried spam over sushi rice, wrapped with seaweed into a neat little, hand-held burst of carb and fatty meat energy. It's what you see moms feeding their kiddies at the airport to tide them over (a bit more substantial than Cheerios, no? 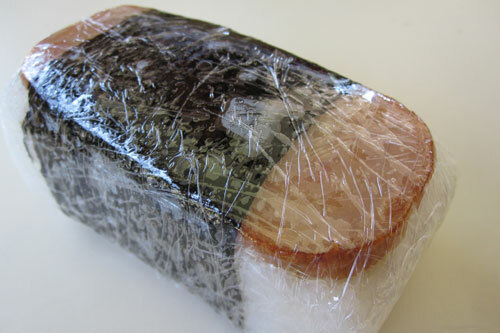 ); it's what you see construction workers eating in the morning for an on-the-go breakfast; it's what you see my fiancé grabbing from the shelves of delis and general stores every chance he gets because he knows I won't let him eat Spam so freely back on mainland. When in Rome, right? I couldn't leave Hawaii without experiencing a real luau! 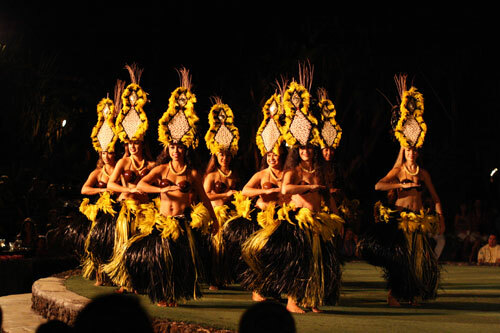 Every single travel guide, concierge, and local pointed to one place as the best: The Old Lahaina Luau. Tickets are pricey, and sure, you feel like every tourist on the island is there with you, but man oh man, is it worth it. What a party. Unlimited tropical cocktails, an endless buffet of traditional luau fare like Polynesian Baked Mahi Mahi, Pulehu Steak, Lomi Lomi Salmon, Ahi Poke, Poi Rolls made with mashed purple taro, and guava butter, and…drumroll please…Kalua Pua'a, pork roasted underground in a traditional imu. Pork. So good. The staff are total pros as well, and even with nightly sold-out shows for 500 guests, the evening runs smooth as cocoa butter. You get the royal Hawaiian treatment, watch the sun set dreamily into the ocean, sit under the stars, and enjoy a first class show of beautiful dancers, shakin' what their momma gave 'em. If there is one touristy thing you do, make this it. 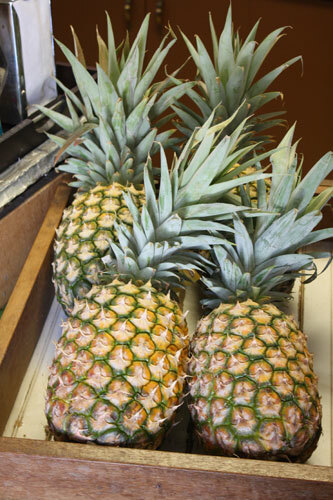 Juicy, nectar-sweet, Maui Gold Pineapples. If your entire trip to Maui was embodied into one single flavor, this would be it. 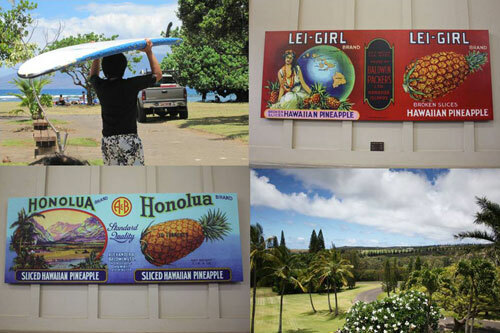 Wandering around Lahaina on our last day, we stumbled upon Take Home Maui, Inc., a shipping company that specializes in sending gourmet goods like Maui Gold pineapples, sweet Maui onions, even coconut-grams (beats a postcard any day), back to mainland. Nothing like a case of the sweetest pineapples ever to make your coworkers/family/friends not hate you for leaving them behind while you frolicked in the tropical sun all day. While you're at it, get an extra case. You'll need it to ease yourself through the imminent island withdrawal you'll be experiencing when you leave this paradise.